These days, people hire contractors to get work done. This could be for building constructions, event organization, transportation and the likes. 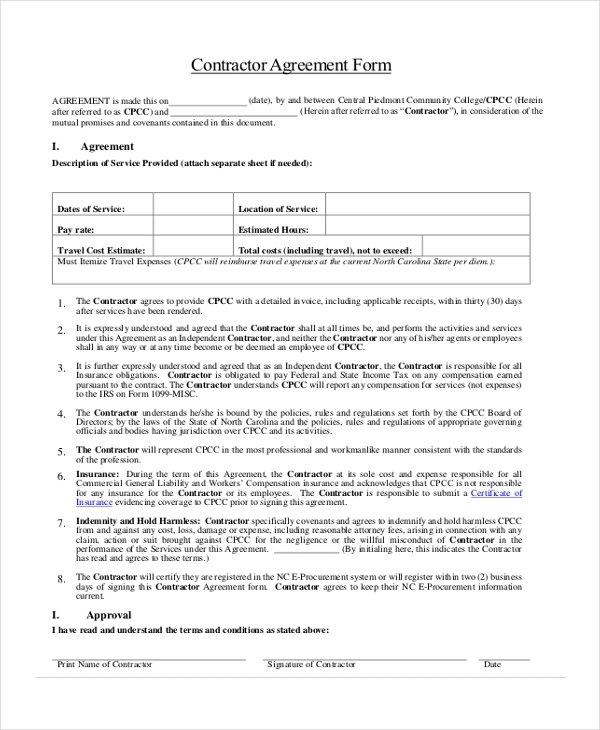 A contractor form is mainly used by the people or the contractor to list down the details of the work for which the person has been hired or could be hired. By filling in all the information in a systematic manner, it becomes easier for the hiring party to analyze the contractor details and do the needful. As the name indicates, this form gives the user an idea about the format to be followed when designing a contractor form and the segments to be included. The user can make changes to this form to personalize it. 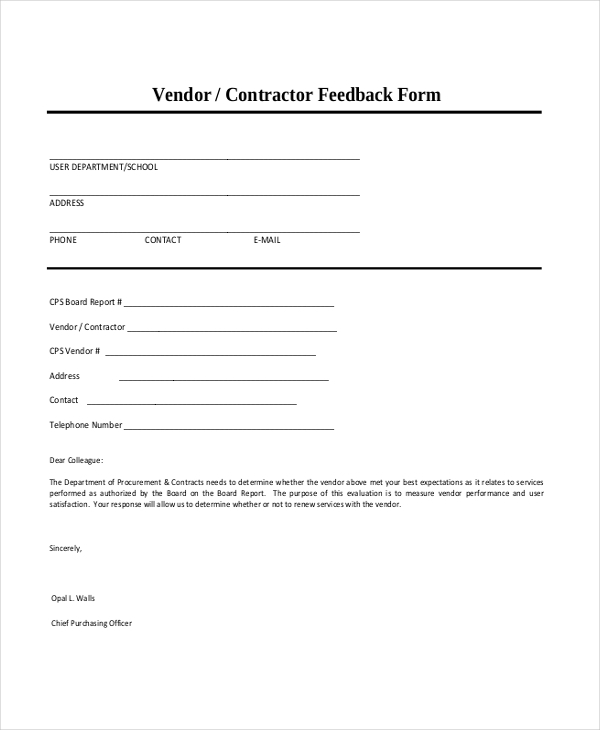 This form is used by organizations who might be inviting contractors to bid for a specific contract. The contractors are required to fill in their details and their bid in the form and submit it to the company. Whenever a property owner intends to change the contractor whom he may have hired for maintenance and upkeep of the property, he is required to fill in this form and submit it to the concerned authority. 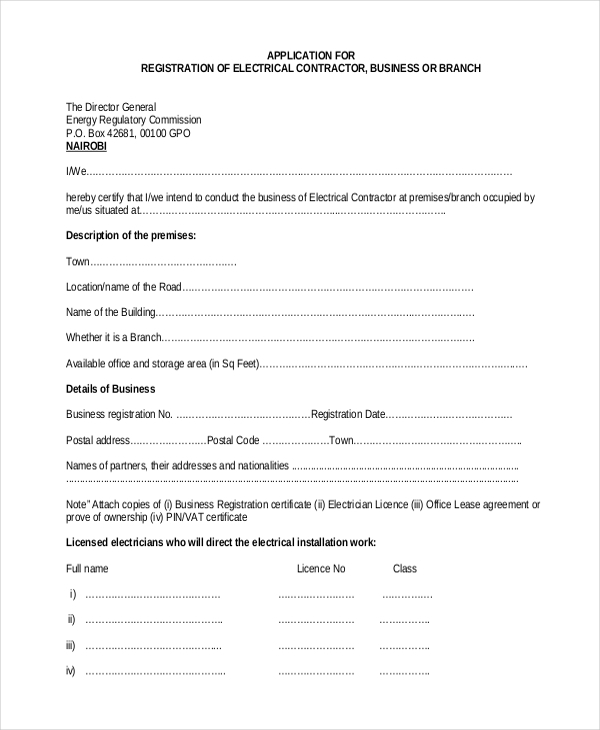 This form is used by an electrical contractor to secure permission from the government to start conducting his business. He needs to fill in his details like name, address of his office and nature of business before submitting the form to the authorities. This is a general format of a contractor form and comprises of all the important segments that should be a part of such a form. The user can further personalize this form to meet his requirements. 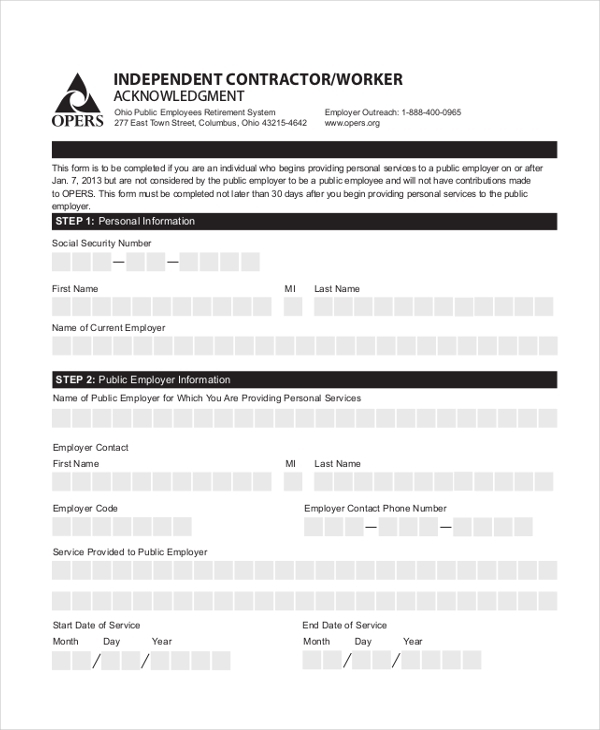 As might be obvious from the name, this form is used by an independent contractor to offer his services to a client. He puts down the details of the services he is willing to offer and the amount that the client is liable to pay in lieu of these services. 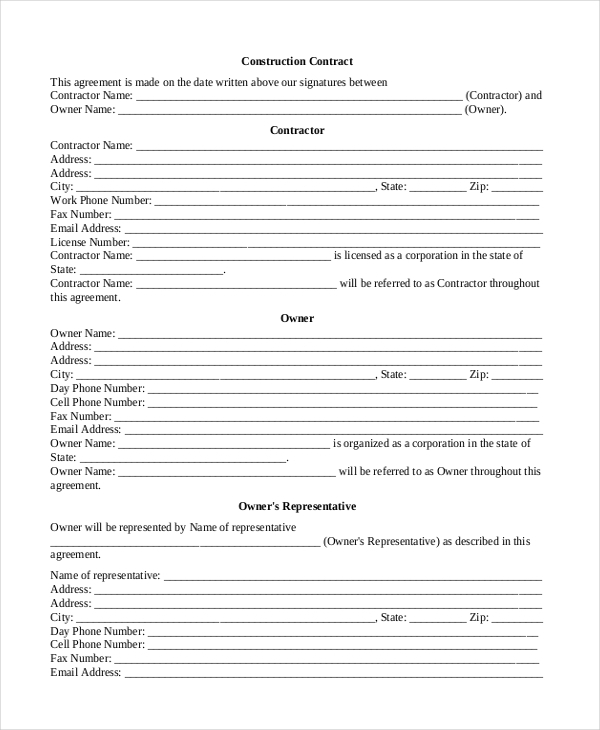 A contractor uses a contract agreement template to design a form to sign a legal agreement with a party who may have hired him for a specific purpose. The form elaborates on the various terms that both the parties are liable to follow. 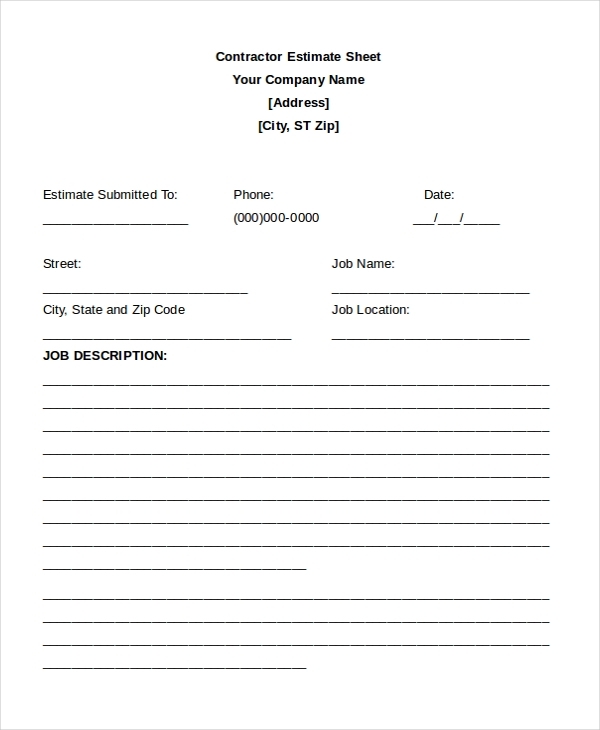 This form is usually used by a contractor to offer an estimate for his services to a party who may be willing to hire him. 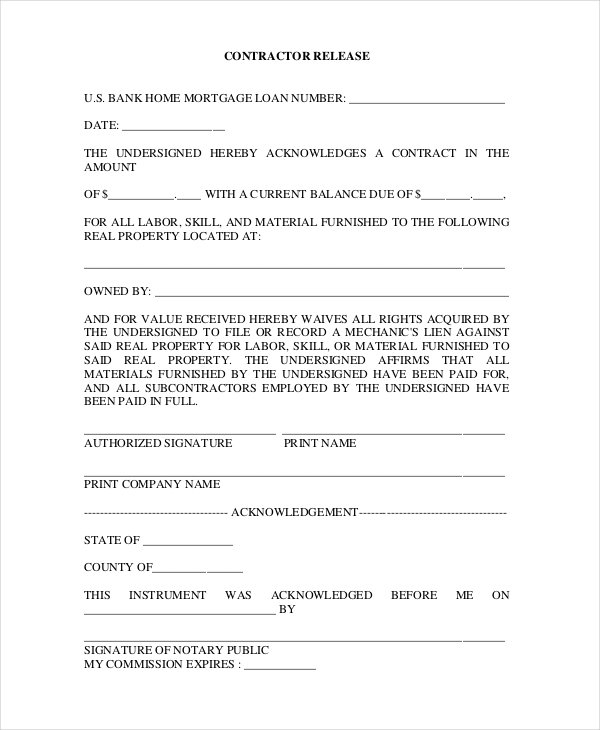 He uses this form to enter the details of the services and the total amount payable. 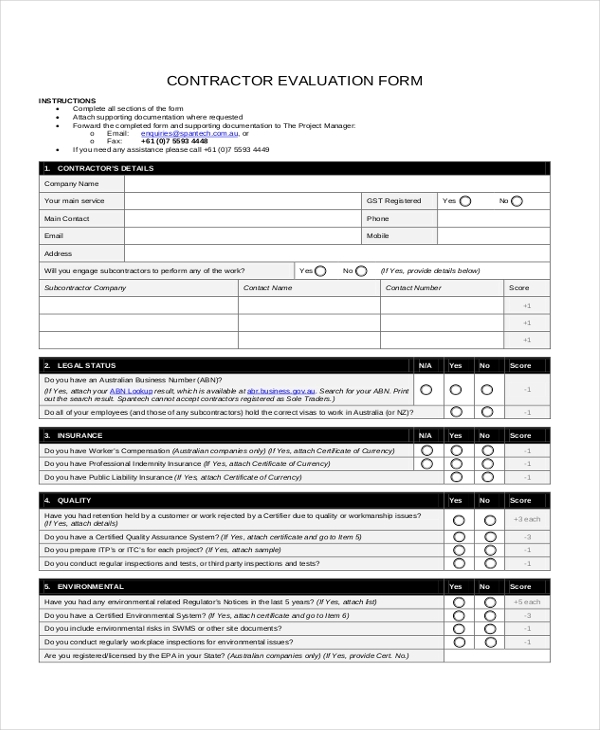 A contractor proposal form is used by a contractor after reviewing a particular property or site. He uses this form to give an idea to the party about the various services they might require him to offer. A contractor release form is used by a client to release the payment to the contractor in lieu of the services offered by him. The party enters the details of the advance payment, payment due and any outstanding balance in this form. As the name suggests, this template is used by a contractor to design an invoice that he may need to present to a client for the services offered. He is required to enter the client details, his details, services offered and the amount payable in this form. This form is mainly used by a government organization or contractor association to enable a contractor to register himself in the legal sense. The person is required to fill in the form with all the relevant details. This form is used by an organization that wishes to hire the services of a contractor on a permanent basis. The company expects the contractor to fill in the form with all the details which would help it to evaluate if the contractor is perfect for them. 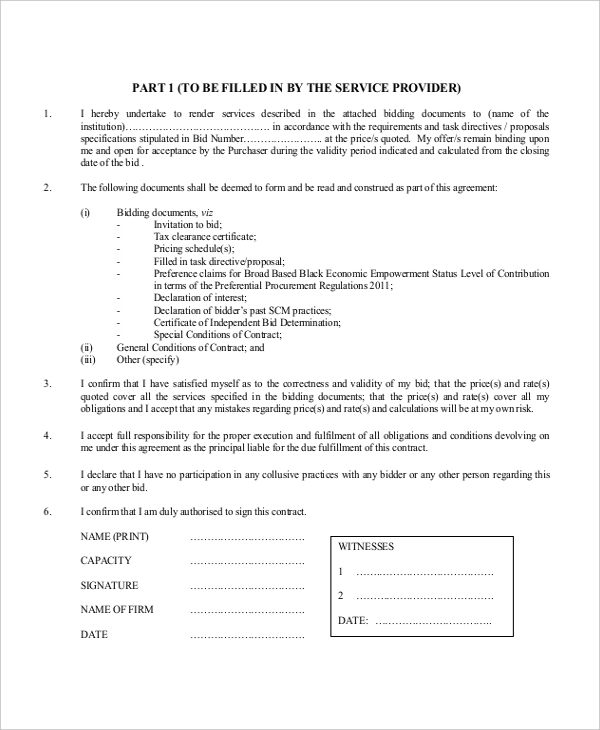 Used by a contractor to offer a receipt to the client for the amount paid in lieu of the services, this form helps him to elaborate on all the services offered by him and any amount that may still be outstanding. 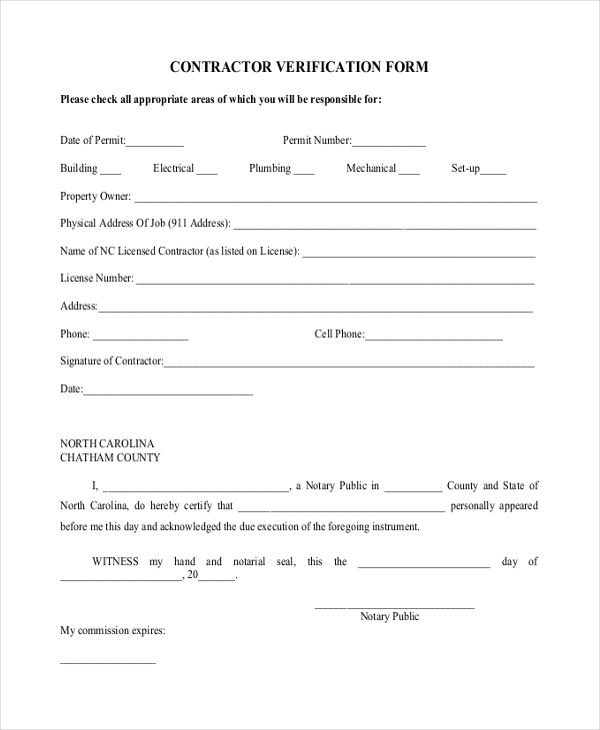 This form is used by a contractor to get him a legal verification such that more people would be willing to hire his services. He is required to fill in his details in the form and get it notarized. 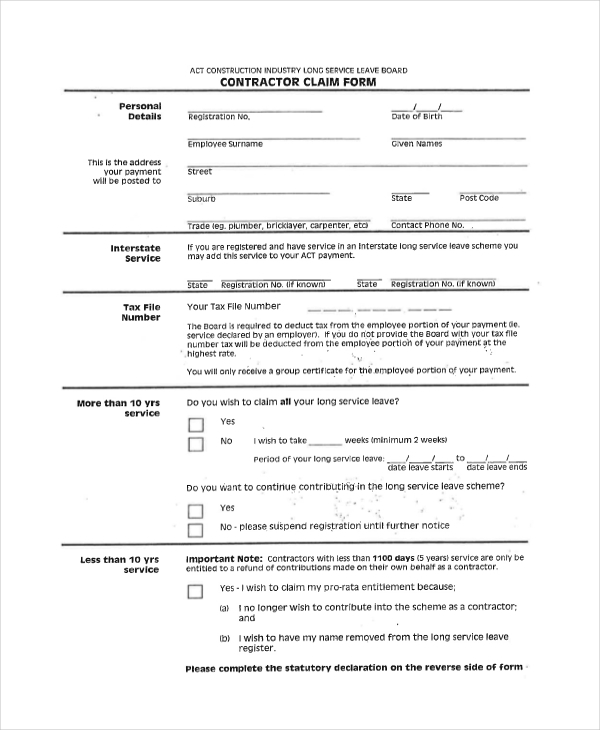 When an organization or person hires a contractor for a task, they sign a contractor contract form. 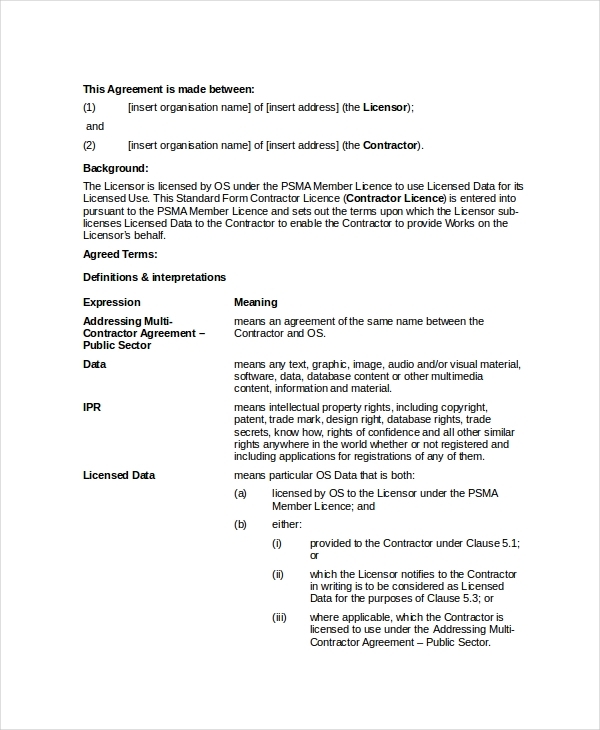 Using a contractor agreement sample they can design a form which includes important terms to be followed. 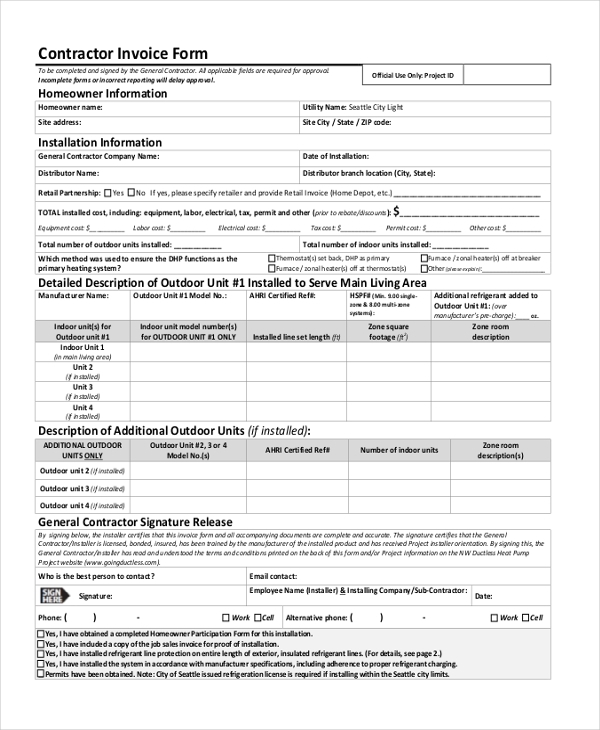 This form is generally used by a contractor who works with the government. He can use this form to post a claim for certain provisions offered to him like long leave, medical care etc. As the name suggests, this form is used by a contractor to gain a feedback from his clients who might have hired his services. This form helps him to improve his services. 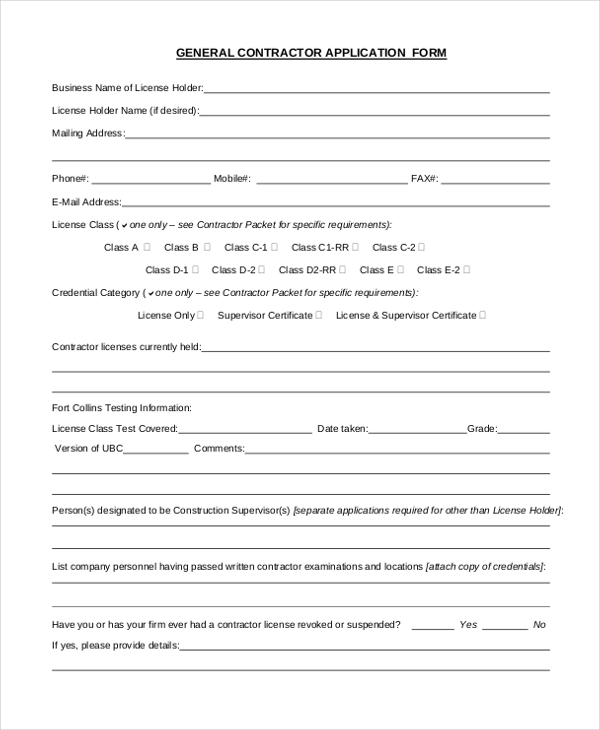 Any person who may want to apply for a contractor license is required to fill in this form and submit it to the concerned authority. He should fill in his details as well as that of the services offered by him. 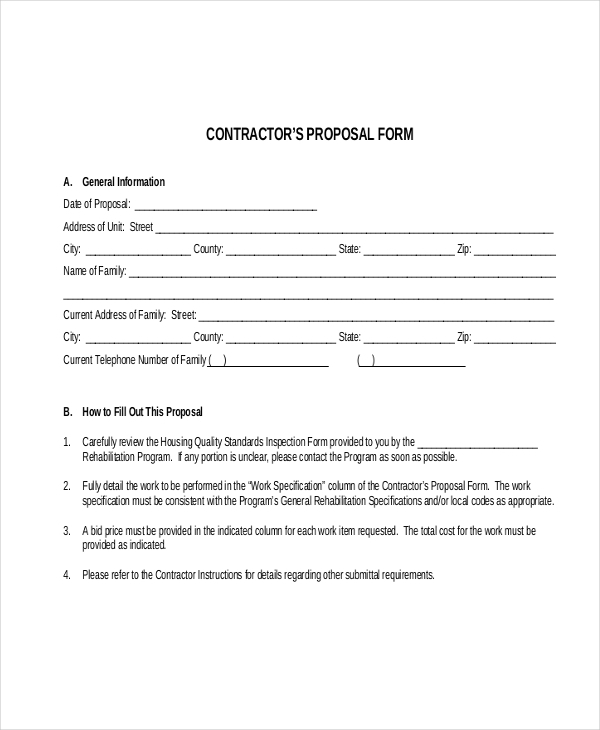 use contractor forms to offer their services, claim their payment or submit a proposal to a client. 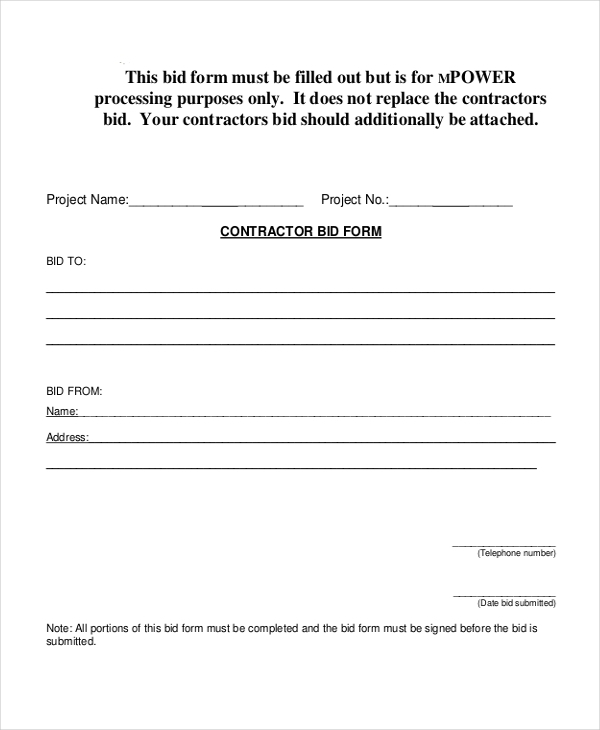 use contractor forms to invite bids from contractors for a project or to release their payments. may use these forms to help a contractor register his services in their roster or to gain a license. How to Format a Contractor Form? Start by adding the name and logo of your organization along with the details. This should be followed by the name of the client or the contractor. There should be table or segment where the details of the services sought should be entered. You may also want to include a segment or subhead to elaborate on the rates of services. Add in any terms of the contract, is there is a need for that. In the end, designate a space for signature and seal. 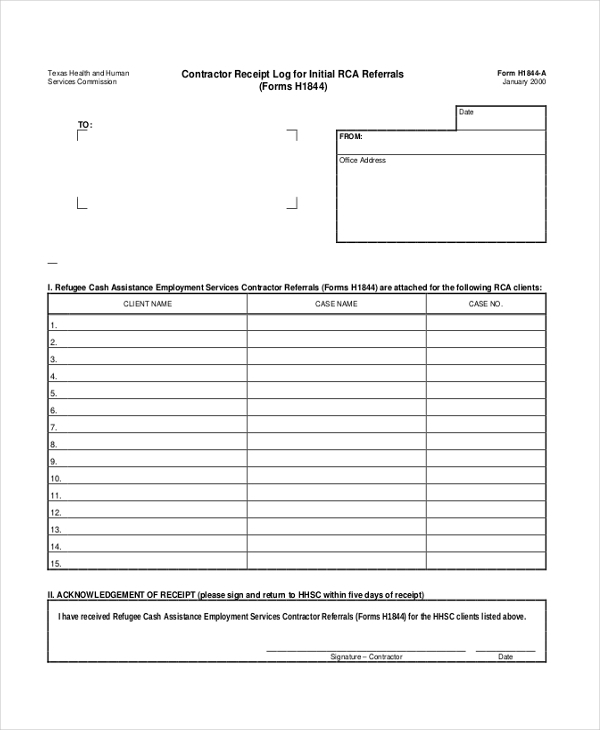 Need some help to design a contractor form? Look no more! 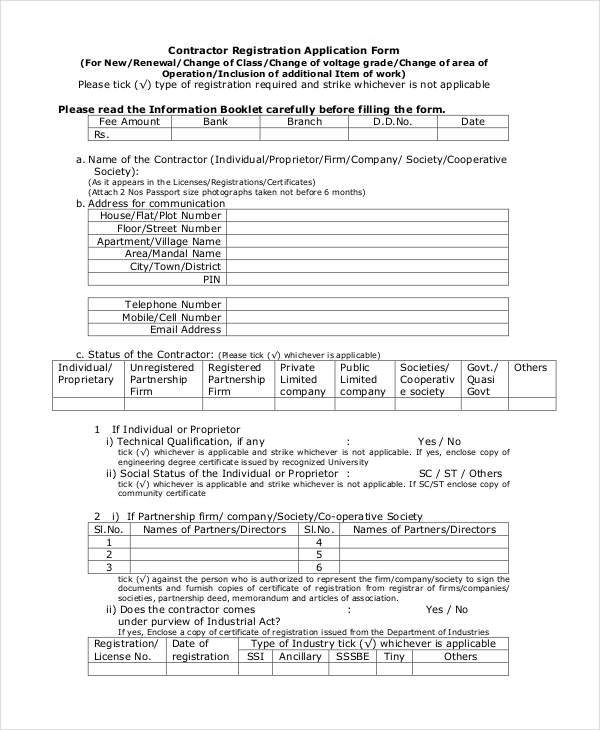 Check out our large collection of contractor forms to find the one that would be apt for you. These can be easily downloaded and conveniently customized. 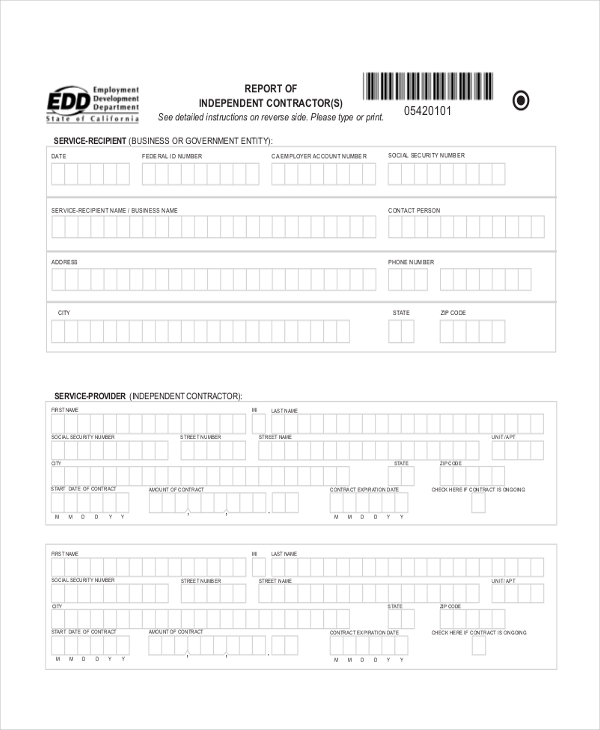 Being print ready, these forms are sure to save a lot of your time.